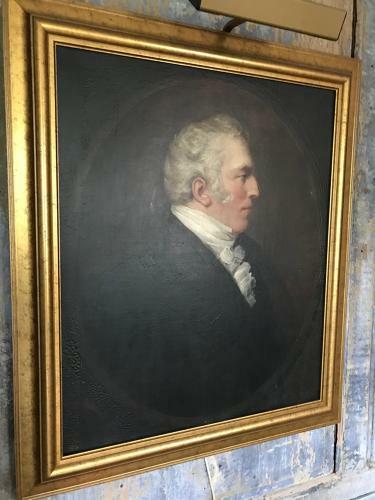 Late 18th Century oil portrait of a gentleman in profile wearing a lace rough. Painted within an oval medsallion, wearing a black coat with high coller with a ruff. Late George III.